May Day 2014 falls in the midst of the battle against the attacks on jobs, pay & conditions in the public and private sectors; against attacks on public services including health & education; against the repressive anti-union laws. May Day will be one of the focuses for the movement in 2014 and needs your backing to ensure it makes the right impact. May Day needs organisational and financial support. It needs unions & trades councils to mobilise to get members and banners out on Thursday May 1st. We are more than happy to come and talk to you or your appropriate committee about May Day. We attach our latest flyer for May Day which we hope you might be able to circulate. Financially London May Day has to raise £7000 to cover all the basics such as the PA system, publicity, PLI, road closures and march banners. We hope you can donate to May Day 2014 (cheques made out to London May Day) Organising Committee or LMDOC). There is also the May Day Cup football competition on the weekend before May 1st.which welcomes teams to apply. 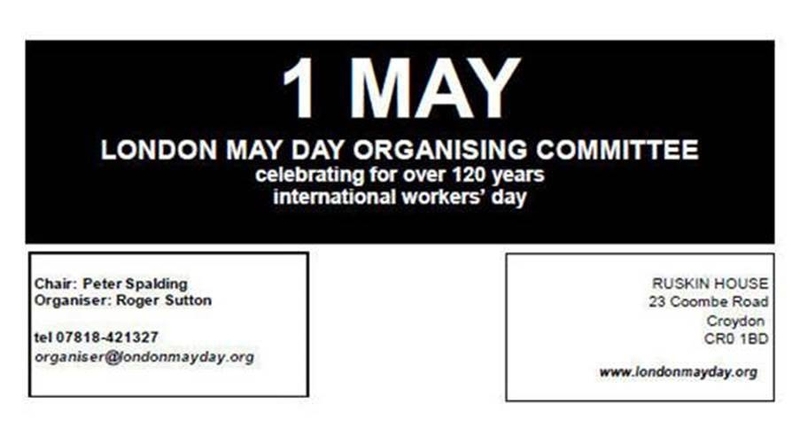 We hope your organisation will be able to support May Day. 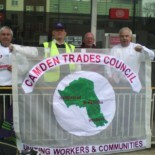 This entry was posted on January 30, 2014 by CAMDEN TRADES COUNCIL.